By Franz Kafka. Gregor awakes to find himself transformed. A darkly comic updating of the classic tale. Adapted by Alan Harris. A darkly comic updating of the classic tale. 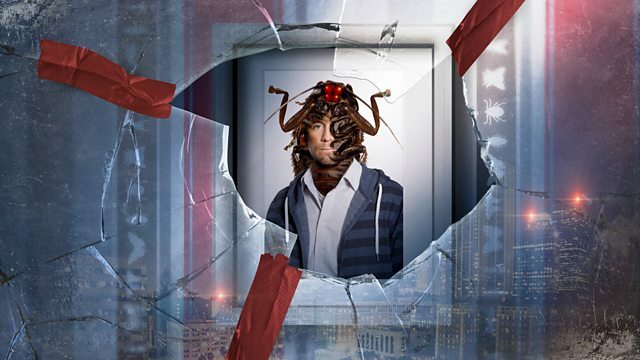 Gregor Samsa's life is dominated by routine - the monotony of his busy commute, mindless call centre job and crowded tower block home is steadily taking its toll. Then one morning Gregor awakes to find himself transformed into a giant insect. As he attempts to master life with six legs, his family must also learn to live with his new look. Writer Alan Harris gives Kafka's classic a modern twist with a darkly comic edge. Starring Tom Basden (W1A), Kenneth Collard (Cuckoo), Felicity Montagu (Alpha Papa), Emma Sidi (W1A) and Tim Key (Alpha Papa).